The WA Youth Orchestra (WAYO) has a rich performance history, formed over a period of nearly forty years of music-making. The orchestra showcases the talents of Perth’s young orchestral musicians aged 15 – 22 years old and has a deserved reputation as one of the finest youth orchestras in Australia. WAYO present a large number of main stage concerts a year at Perth’s premier concert venues, and perform to annual audiences of over 40,000 a year.Since being founded in 1974, the WAYO has performed throughout Western Australia, as well as an array of performances in London, Prague, Berlin, Mannheim, Brussels and Paris. 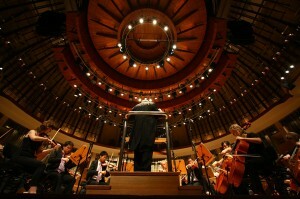 In addition to a committed international touring program, the WAYO has in recent years enjoyed increased exposure to guest conductors of international standing, including renowned Russian conductor Vladimir Verbitsky, Estonian Maestro Arvo Volmer and the eminent Singapore-based conductor Tze Law Chan. In 1998 WAYO was invited by the Hyogo Prefecture to tour Japan, giving seven concerts throughout the Hyogo and Tottori Prefectures and furthering an already strong sister state relationship. 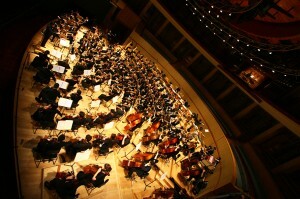 WAYO performed in in Europe in 2005, Singapore in December 2009 as part of their tour to Asia, and was the first youth orchestra in the world to perform in the famous Concert Hall at the Esplanade Theatre, Singapore. In 2016 WAYO returned to Singapore and Japan thrilling audiences with a collaboration with Orchestra of the Music Makers (Singapore) and soloist Alexandre Da Costa, and a special repeat performance in Hyogo reliving our 1998 visit. In 2012 WAYO was also the first youth orchestra in the world to perform with Maestro Ennio Morricone in a sell-out performance at Burswood/Crown Theatre for the 2012 Perth International Arts Festival. This major event was one of the most successful in PIAF’s history. In 2016 WAYO was the featured orchestra in the 2016 PIAF opening Home to an audience of 30,000.The orchestra has previously performed at large major scale outdoor concerts around Perth including ten annual seasons since 2008 of a themed concert in Burswood Park, and collaborations with the West Australian Symphony Orchestra in King’s Park in 2005 and 2009. WAYO has also performed with music theatre star, Lucy Durack, jazz vocalist, Grace Knight, and iconic pop band, The Whitlams, as well as the Joondalup Resort and Leeuwin Estate Concert Series’. In addition to large-scale concerts WAYO presents its renowned sell-out Children Concerts and Outreach Concerts to facilitate educational exchange, learning, and mentorship.